This month we feature an interesting business that is at the heart of a stagering number of retail transactions. They’re not a payment portal or a manufacturer but they are crucial to the cycle of getting products from companies to consumers. They are a logistics company called 3P Logistics. 3P Logistics were formed in 2006 and are currently established as one of the markets leaders in the 3PL supply chain. They are a popular multi-award winning business. Their amazing team is made up of skilled, dedicated and hard working individuals. They offer five main types of services which are freight management, warehouse services, E fulfilment services, E commerce support and distribution services. They offer a huge selection of many different services such as freight management, warehouse services, E fulfilment services, E commerce support and distribution services. When it comes to freight management, this splits off into freight forwarding services and insurance services. They offer competitive rates and shortened lead times associated with all types of freight movements. 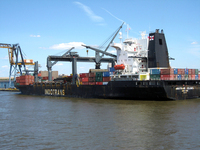 Their freight services include inland haulage, documentation and customs clearance. For their freight forwarding services they keep it simple with just one point of contact and one invoice. Then with insurance services they provide low cost freight insurance per transaction; immediate cover is an option. When it comes to their warehouse services it splits off into two things, which are warehousing services and pre retail/ non-compliance. Their ‘pay as you use’ warehousing services are a cost effective alternative to fixed high overheads. Right from container to returns processing they are able to provide general warehousing services in one place, under one roof. Then pre retail and non-compliance is for times when your products aren’t to the finished goods specifications. Their services such as bar-code labelling and knitting are available on demand and save the hassle of moving the goods off the site to be re-worked. They also offer E-commerce support which includes services such as web photography, marketplace integration and inbound telesales. They can cater for most photography needs and all of their photographs are taken and then edited to a high standard. Their market place store build includes simple but effective designs at affordable prices. Using their marketplace integration means you can gain maximum exposure across many online marketplaces. Their contact centre team are able to answer any phone calls on your behalf. Then the E-fulfilment that they offer includes services such as storage solutions and returns handling. Their order fulfilment services are at the very top of their combined service offering, their services appeal to many different online sellers. From the point of delivery they take care of everything, they will even pick and pack your orders for you, also they can handle all of your stock build requirements. Then their warehouse storage can be both short and long term, depending on your requirements. Lastly, would be their distribution services which include royal mail business services and returns collections, these tend to be arranged on site via one point of contact, they offer both national and international coverage. Brookmans is a stunning, modern new housing development which is situated in Brookmans Park in Hertfordshire. Around the homes is stunning scenery consisting of 204 acres of beautiful park land. The houses all have the latest contemporary styled architecture and the kitchens are already fitted with Bosch integrated utilities. Each of the homes has either three or four fantastic bedrooms and are provided with a parking space; some even have a car port or a garage for extra parking space. There are a wide range of activities for everyone to enjoy such as nature reserves, a private golf club and Gobions Wood which has its own personal private fishing lake for you to use. In the surrounding area there is a variety of local shops such as traditional butchers, a library, a post office and many more. There’s also a pub in the area called Brookmans Gastro pub, its great if you want to go for a meal with your family or just get a drink. There are so many positive factors about living in Brookmans such as that there are low crime rates this was even stated by the national crime statistics and there is also a selection of high rated schools in the area, for if you have children, such as Chancellor’s, Dame Alice Owen and Brookmans Park Primary School. Dame Alice Owens School got fantastic GCSEs in 2015, these included maths and English. Brookmans Park is part of a friendly village community with a calm and peaceful country setting. Investing in one of these homes means that you can enjoy being close to London without all the noise of living in London city centre. However, if you want to go to London for the day then you can get the train from Brookmans Park Railway Station only a few minutes away which provides a train that heads straight into Central London or there is also a local bus service which is great if your children go to school here as it provides transport to their schools. 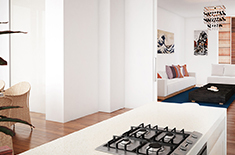 All of the homes are owned by Origin Properties which operates in Central London. So, far from the homes that are available the prices range from £699,950 upward. The layouts of the homes are similar but do change slightly depending on the style of the house. A brief layout of one of the detached houses would be that it has 3 floors. On the ground floor there is a kitchen, living/dining room and a WC. On the first floor there is a bedroom with an en suite, a second bedroom and a bathroom. Lastly, on the third floor there is another bathroom with an en suite.